Just hearing the name Star Wars still causes John Williams Star Wars theme to play on my head. I was born in 1984 and grew up in a Star Wars loving family. We still have a VHS version of Star Wars where Han shoots first! Anyways I still have great respect for the titanic effort for George Lucas to bring his vision to the big screen. 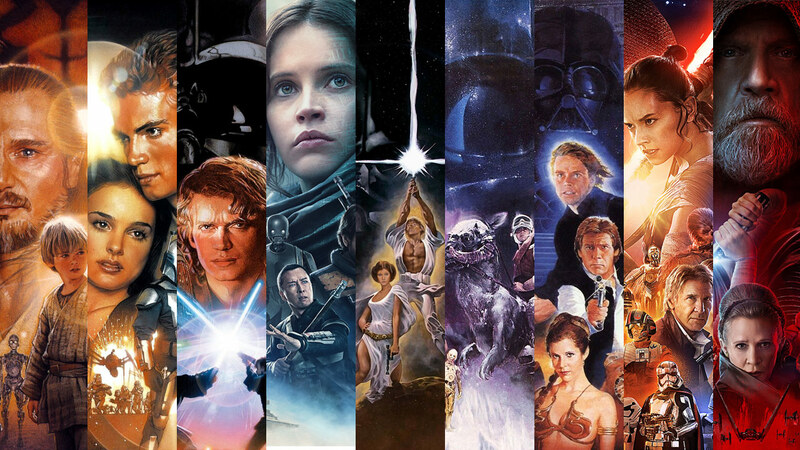 Many talented writers have added their own characters to the Star Wars universe in the decades since the first 1977 movie. Some Star Wars efforts have been loved by fans and some have been less than loved. I always liked the fact that Star Wars has been opened to individual artists unique perspective. This was pretty much the original cinematic universe that studios are trying to replicate these days. I hope you enjoy as I list the voted on characters that populate this vast universe. I would like to thank everyone who submitted a list as you helped make this happen! ETA: The first tie breaker is the number of lists that a character has appeared on. The second tie breaker is who had the highest ranking. ETA2: There may be spoilers to all released Star Wars materials!!!! Mission Vao (pronounced /'mɪʃɪn 'veo/) was a female Rutian Twi'lek who lived as a street urchin on the ecumenopolis of Taris during the Mandalorian Wars and the first half of the Jedi Civil War. She preferred speaking Galactic Basic Standard rather than her people's native language and was the closest friend of the Wookiee Zaalbar. She joined the crew of the Ebon Hawk following her encounter with Revan and the destruction of Taris, and was a vital member of Revan's crew in the search for the Star Forge and the triumph of the Galactic Republic over the Sith Empire at the Battle of Rakata Prime. She parted ways with Revan after the defeat of Darth Malak. She was always one of my main party members in KOTOR playing the "thief" role. She was a street wise scoundrel that always livened up a party. 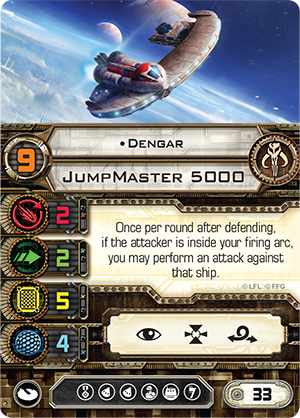 Dengar was a Corellian bounty hunter operating since the early stages of the Clone Wars. Dengar participated in an operation on Quarzite—during which he served as a member of Krayt's Claw, a syndicate of hunters including Boba Fett, Bossk, and Asajj Ventress—to secure property valuable to Lord Otua Blank of the planet Quarzite. Dengar remained active through the Galactic Civil War, during which he was one of several bounty hunters hired by Darth Vader to capture Han Solo, captain of the Millennium Falcon. Though Dengar ultimately lost Vader's bounty to his rival/partner Boba Fett, he was later present with Bossk and Fett in Jabba's Palace on Tatooine during Solo's rescue by Jedi Knight Luke Skywalker. Dengar was one of the menagerie of bounty hunters featured in Empire Strikes Back. I've always found his ship "Punishing One" interesting from the Xwing Miniatures games as it favored turns in one direction. 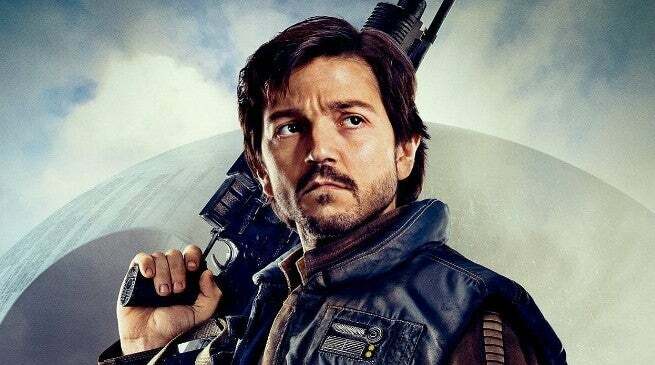 Cassian Jeron Andor, also known by the aliases Willix, Aach, Joreth Sward, and the title Fulcrum, was a human male soldier, pilot and Intelligence officer who served in the Confederacy of Independent Systems during the Clone Wars and then the Alliance to Restore the Republic during Operation Fracture and the Galactic Civil War. Andor joined a Rebel mission to steal the plans of the Death Star, a superweapon built by the Galactic Empire. Although the mission was a success, Andor perished along with the rest of Rogue One. This character was definitely a view of modern sensibility on the whole rebellion aspect in the galactic civil war. Upon being idealistic he had to take actions that were far under the Lawful Good ideal we treated heroes previously. He gave a hardened war weariness to the franchise. The actor who played Admiral Piett also played Jesus Christ in the Monty Python's Life of Brian! Wow. the ties start at #16. That either means everyone's lists were extremely different, or everyone had a lot of agreement in their top 15 or so. Either way, this should be an interesting list. So I'm going to play some more Tie Fighter. More entries will be released tomorrow. Seriously though that is the greatest Star Wars game released, at least in my opinion. Try playing Empire at War some time. Fun fact, in one of the previously canonical stories, Boba Fett was best man at Pigma Dengar's wedding. I really hope they wear tuxes in the Star Wars universe. Andor wasn't super high on my list, but I like how Rogue One remained a really fun movie despite showing the darkness war brings out in people. It really dealt with the darker aspects of living through a star war without it being a slog. Hear that, most of the DC movies? Raddus was a male Mon Calamari admiral who served in the Alliance to Restore the Republic up to and during the Galactic Civil War. He commanded his personal MC75 star cruiser, Profundity, which led the space assault on Imperial Naval forces during the Battle of Scarif. His flagship was disabled by the Devastator and then boarded by Darth Vader and his forces in an attempt to retrieve the Death Star plans, which had been transmitted from Scarif's surface by Rogue One. Though Raddus perished and his flagship was destroyed, his sacrifice and that of the other rebels allowed the plans to escape and were ultimately used to destroy the Death Star. Many years after Raddus' death, the name of the esteemed admiral was used by the Resistance for their own flagship. Rogue One's very own version of another famous Star Wars Admiral. I don't have much of an opinion on him other than to say he filled his role in the movie well. I do think it was a nice touch that they named the fleeing ship in The Last Jedi after him. Now if only something named Raddus could survive the end of a film! I'm a fan of that game as well. I tend to play through the campaign every year or so. So it begins! How did I forget Dengar, that mummy-looking legend (Mega64 had a funny video about him). Gotta love Dengar. I was determined when making my list that no prequel characters would appear on my list. IG-88, also known as IG-88B, or as a Phlutdroid, was a rogue, deadly masculine IG-series assassin droid manufactured by Holowan Laboratories who worked as a bounty hunter. Following the Battle of Hoth, he and several other bounty hunters were summoned by Darth Vader to the Executor and hired to track down the Millennium Falcon and her Rebel crew. Unable to track his quarry, IG-88 trailed his chief rival, Boba Fett, to Bespin, where the bounty hunter nearly destroyed the assassin droid, however IG-88 managed to survive. At some point IG-88 undertook a software infiltration into Death Star II, but his plan was single-handedly thwarted by R2-Q5. The droid later met with mercenary Bazine Netal to speak about the location of the Millennium Falcon. Bounty Hunters are often popular characters in SW universe as aare droids. Combine the two and you get the super popular droid bounty hunter IG-88! Killer droid technology must've come a long way since the clone wars. Can you imagine if the confederacy used armies of IG-88s instead of those fragile battle droids?